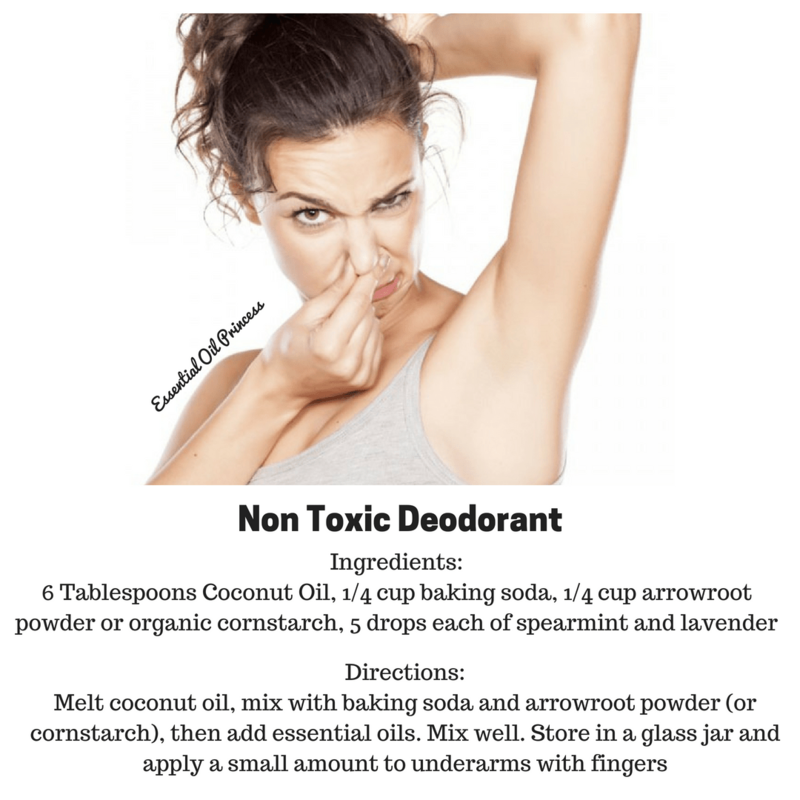 I had such an overwhelming response to a request for underarm deodorant that I wanted to post it for everyone to see. This is a non toxic version that does not include the chemicals found in many store bought versions. I do not recommend putting this in a deodorant stick, you will have to store it in a glass jar and use your fingers to apply. It might be a little more inconvenient than using the stick, but I have used this recipe a lot and I do find that it works well. You can also change the essential oils that you use in the recipe, I love the spearmint and lavender but you might have other preferences. Which oils would you use? Share this post with someone who enjoys living a non toxic lifestyle!